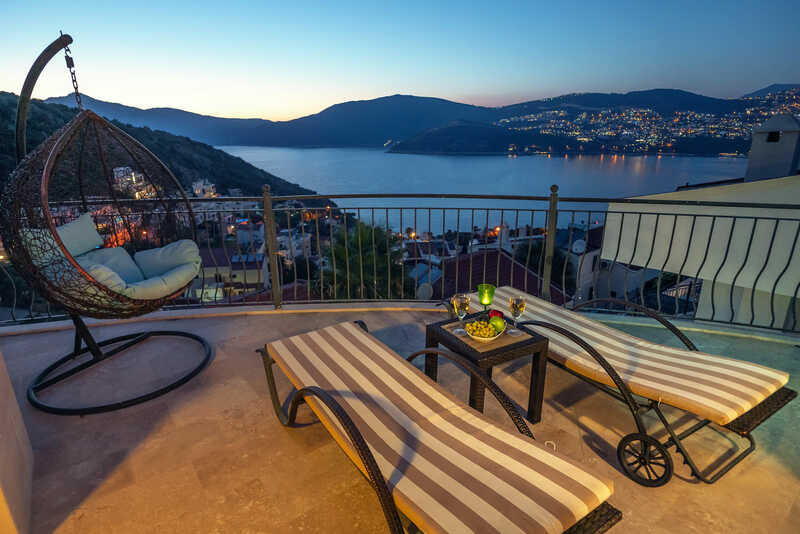 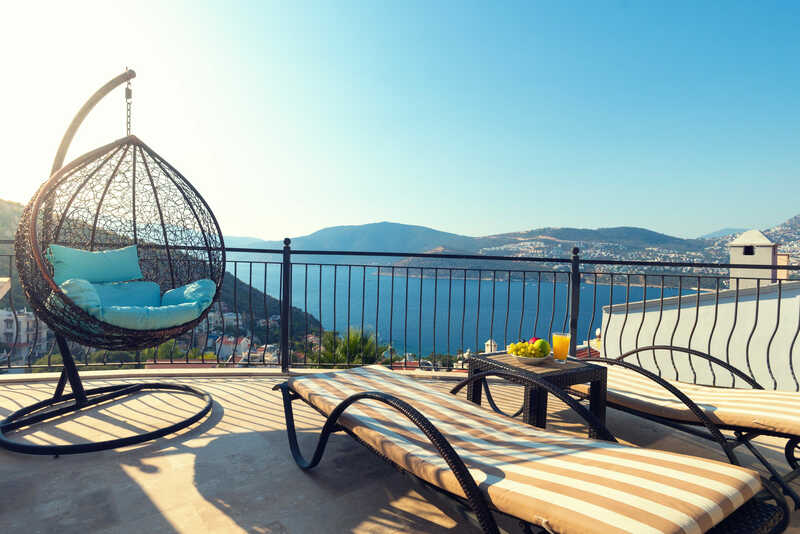 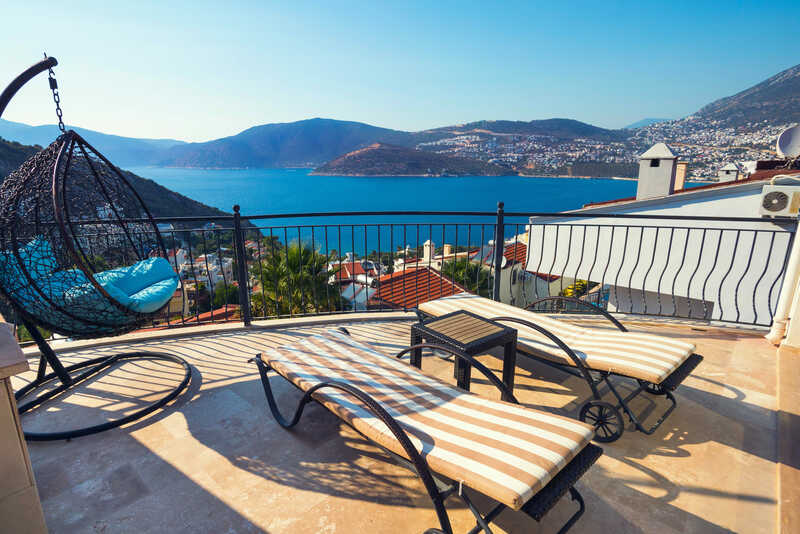 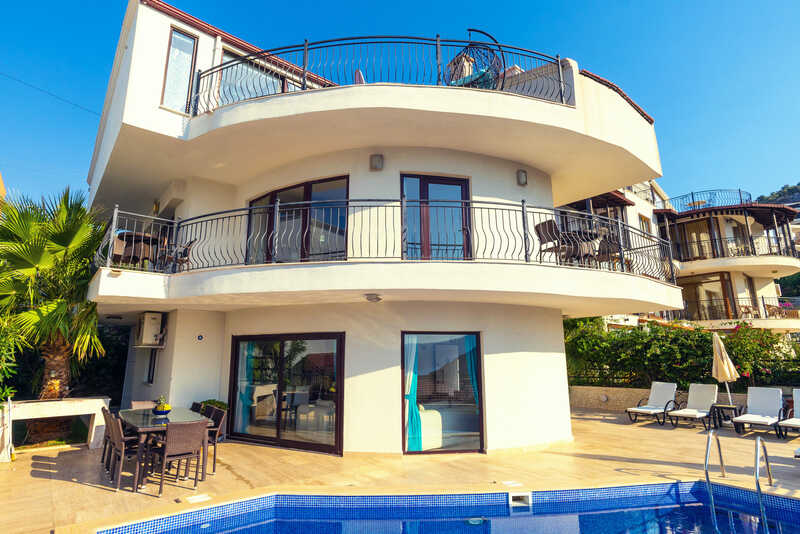 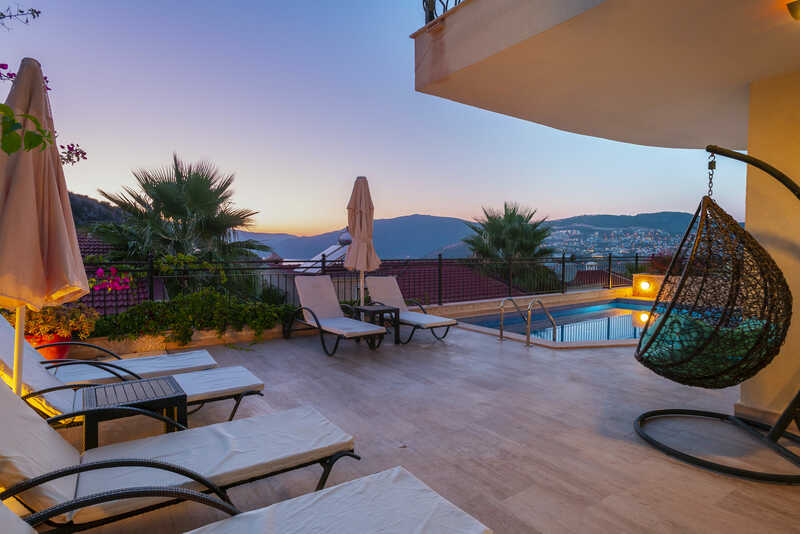 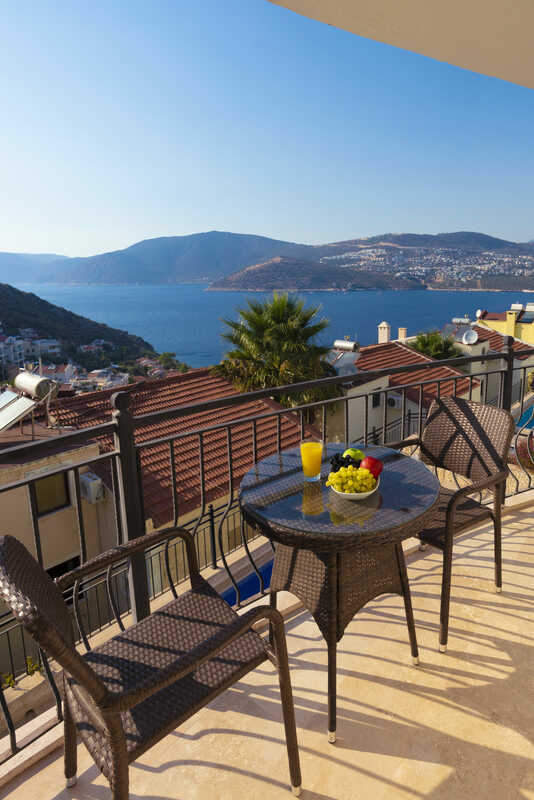 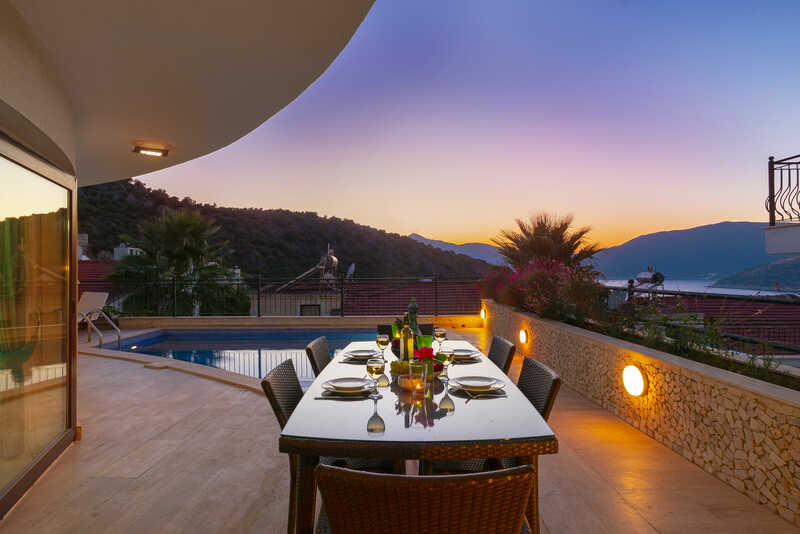 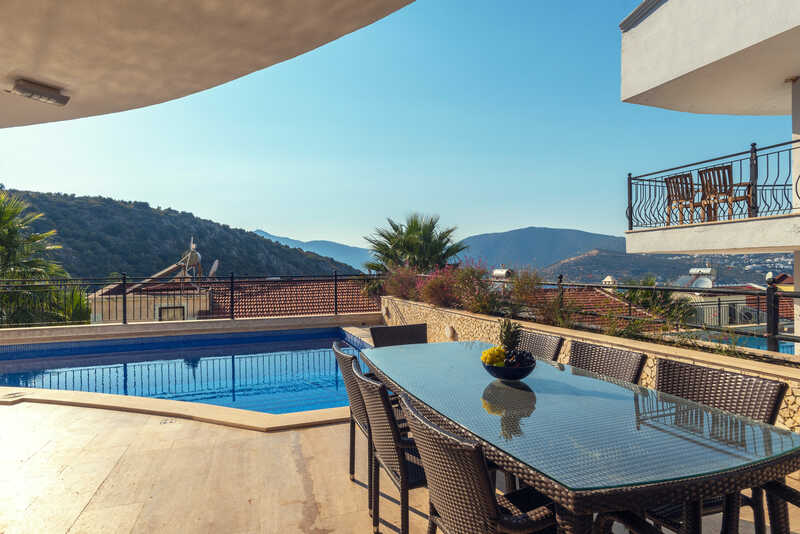 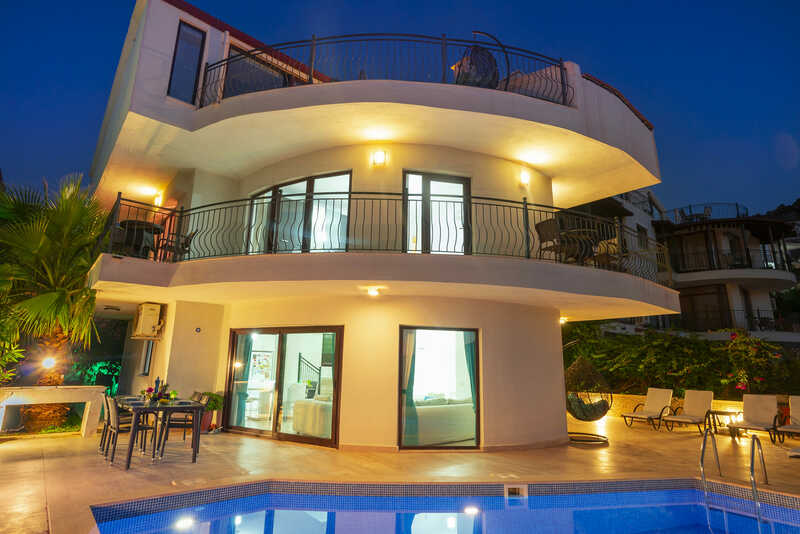 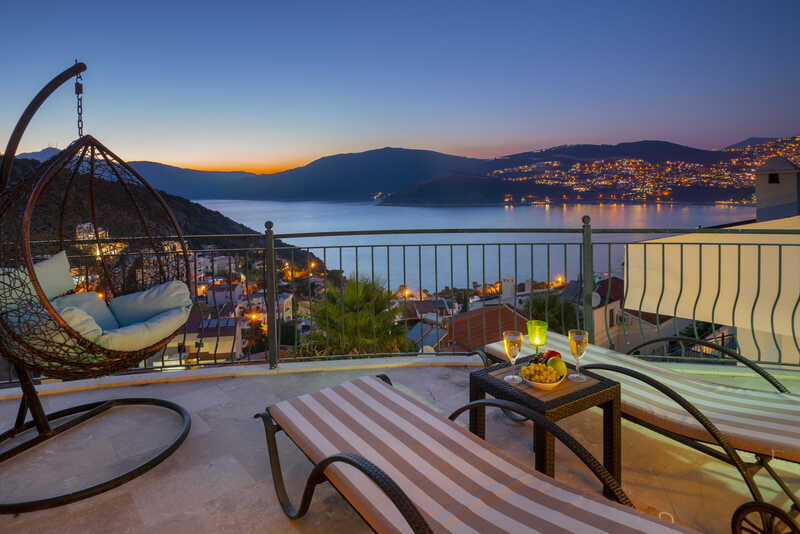 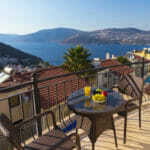 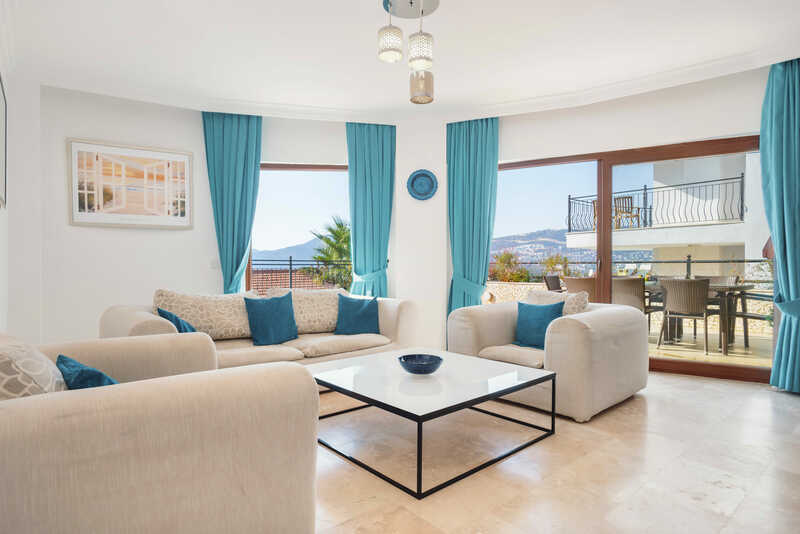 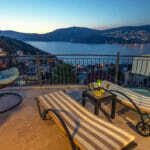 Villa Liman has four bedrooms and great views over the bay towards Kalkan, particularly from its roof terrace. 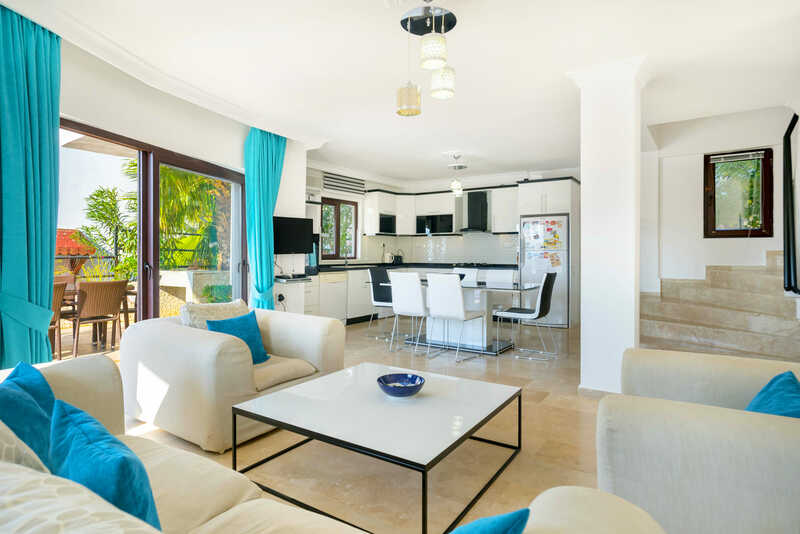 Open plan lounge, kitchen and dining area. 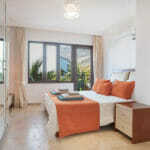 The comfortably furnished lounge opens out onto the pool terrace. 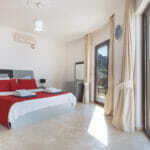 A flat-screen TV (with Sky package) and DVD player are provided. 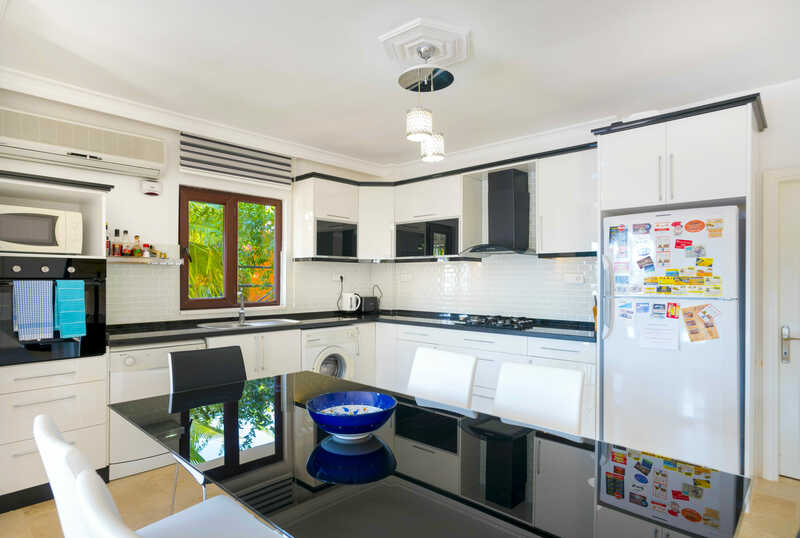 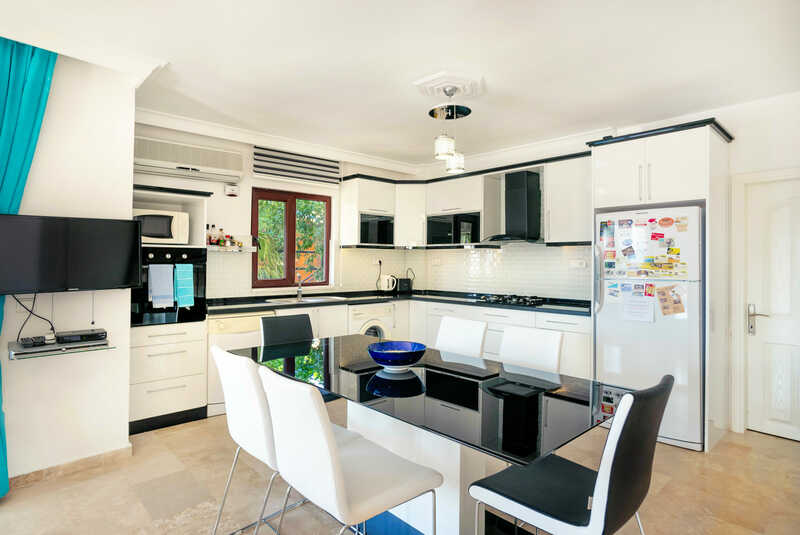 The newly-installed kitchen is well equipped and includes appliances such as large fridge-freezer, dishwasher, oven and hob and washing machine. 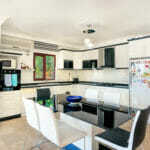 The dining table seats 6. 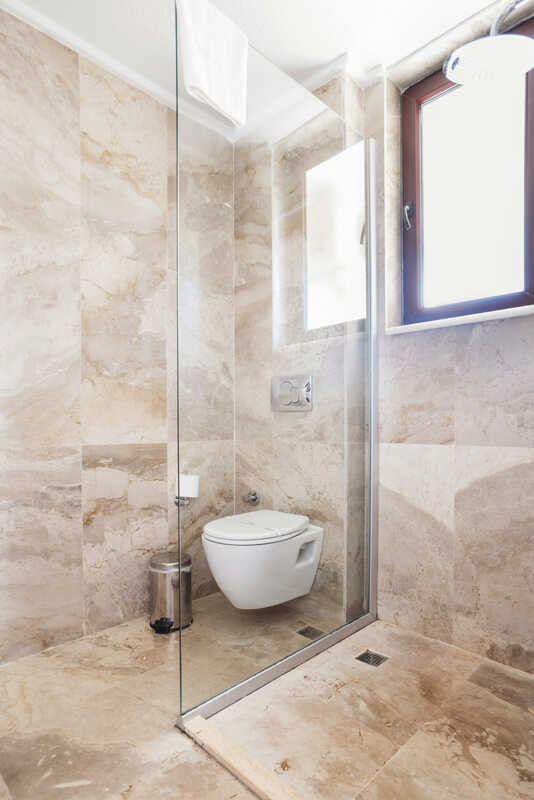 A WC is located on this level. 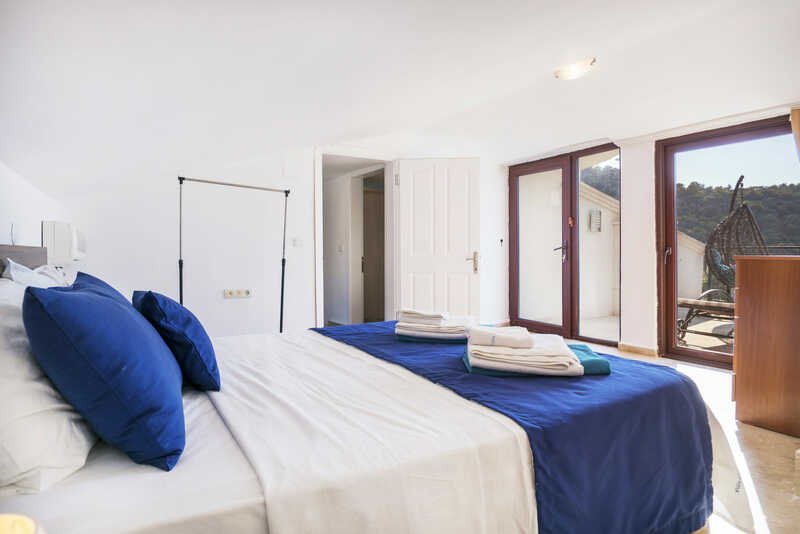 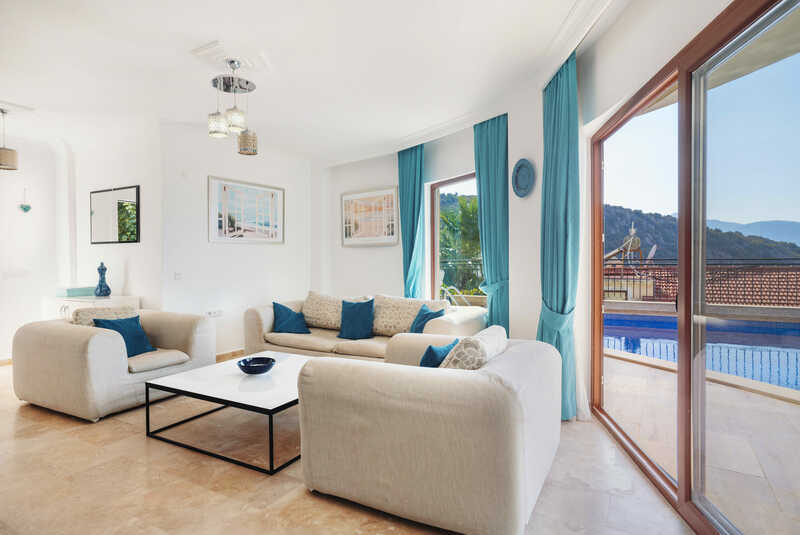 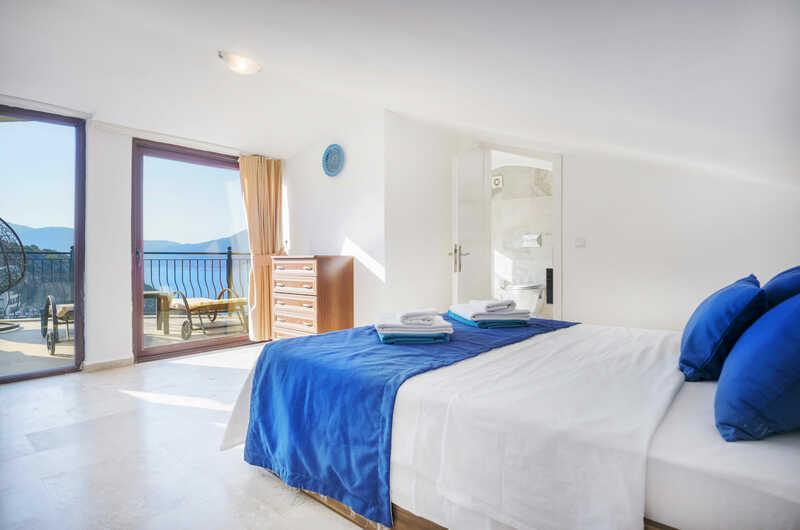 This floor houses two double bedrooms – each has an en-suite shower room and access to a wrap-around balcony that has great sea views. 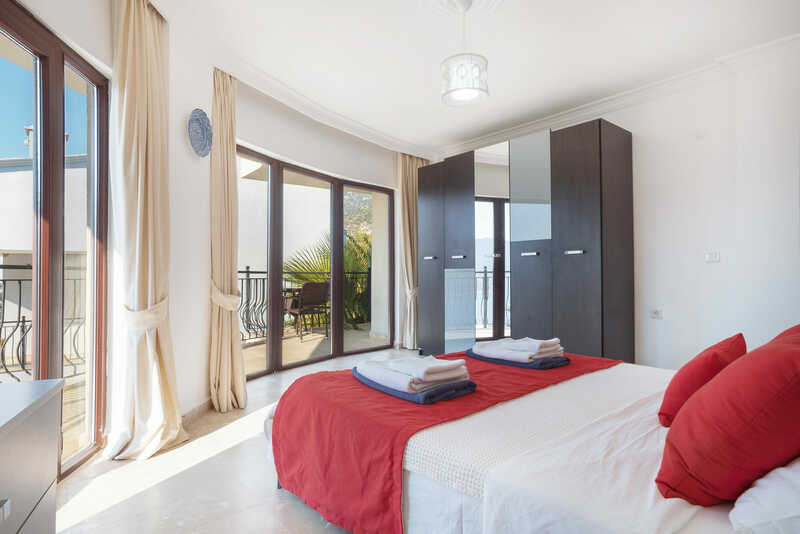 This floor has two bedrooms – a twin and a double. 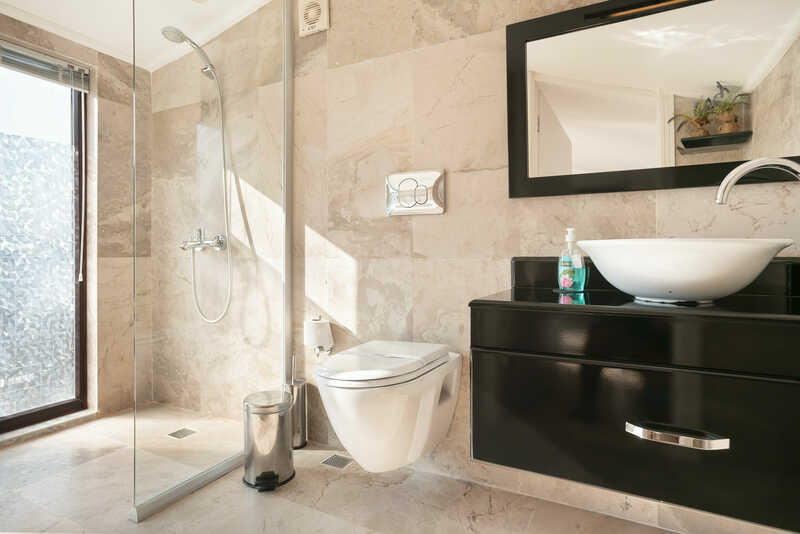 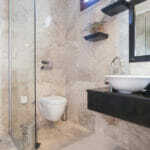 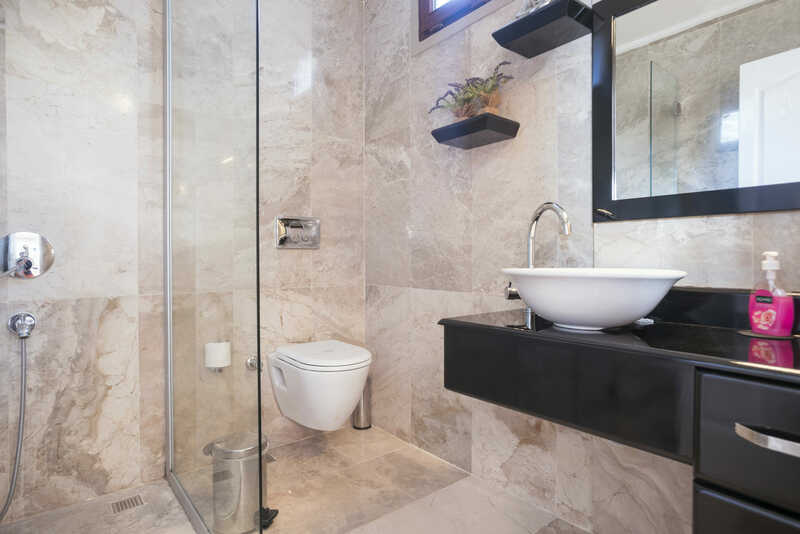 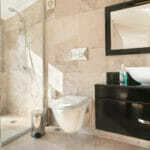 The spacious double has an en-suite with a Jacuzzi bath plus a shower. 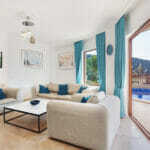 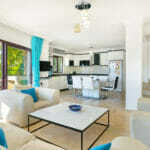 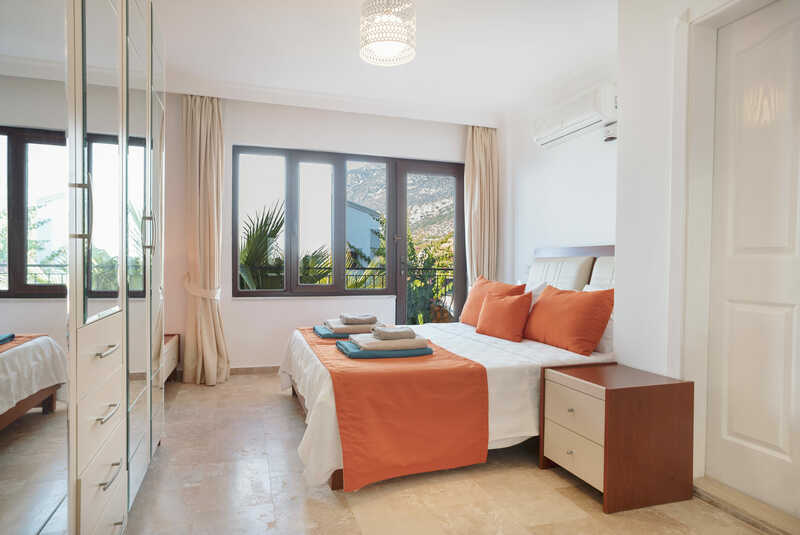 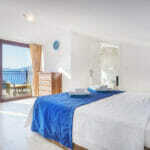 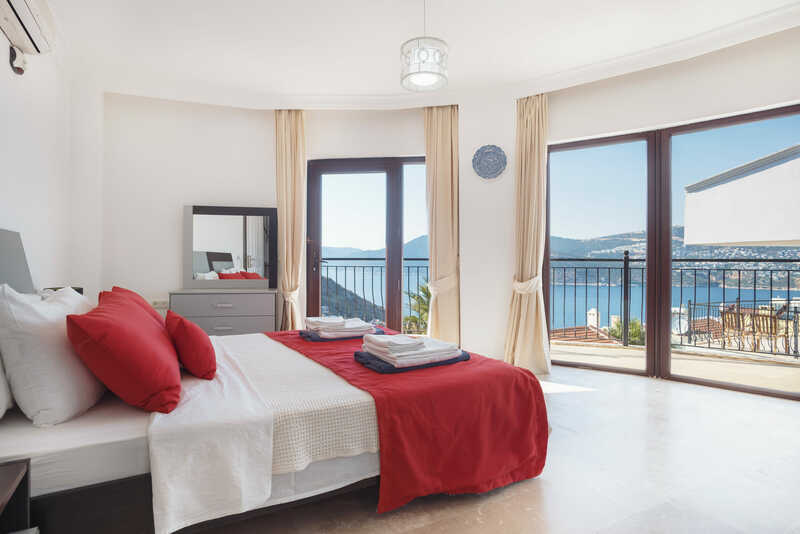 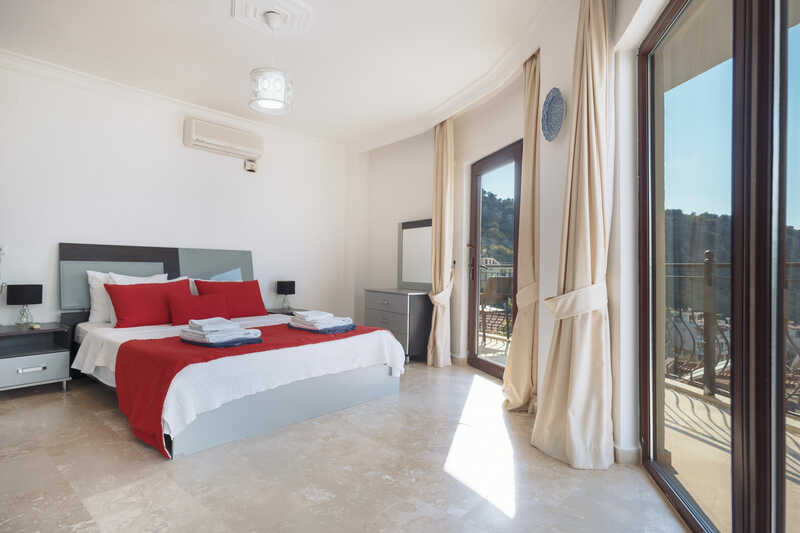 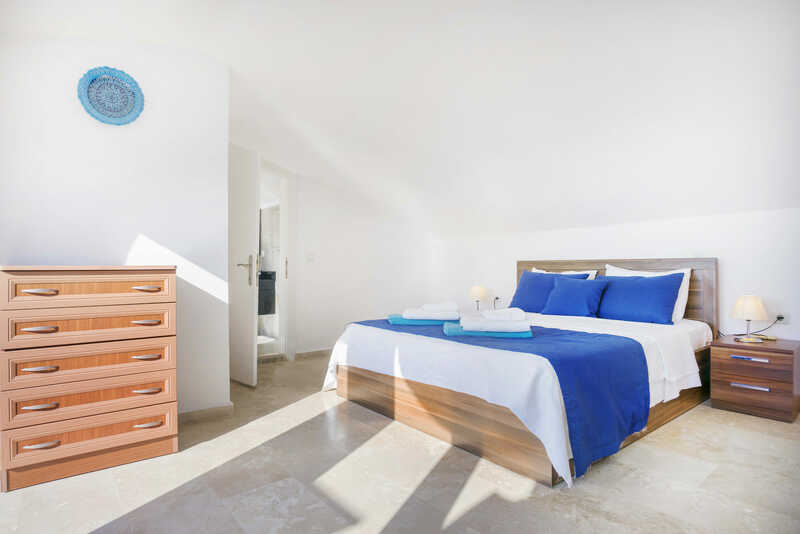 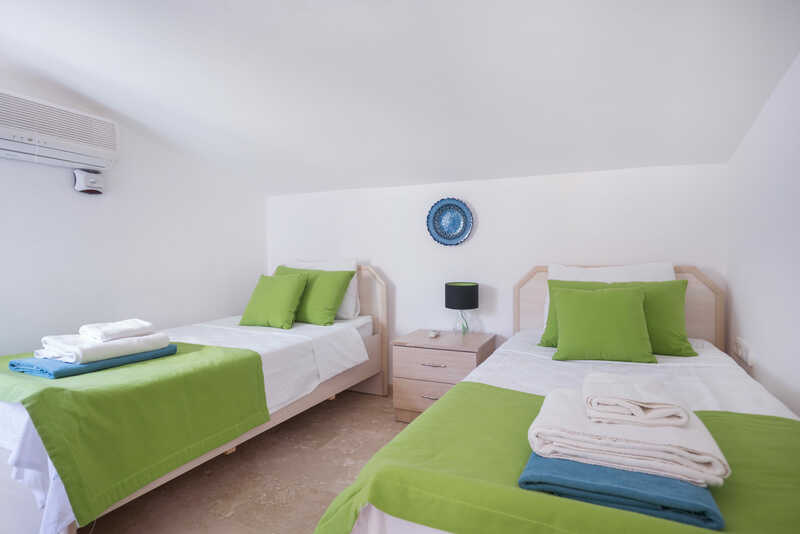 This bedroom has access to the villa’s roof terrace which has far-reaching views out to sea and towards Kalkan harbour. 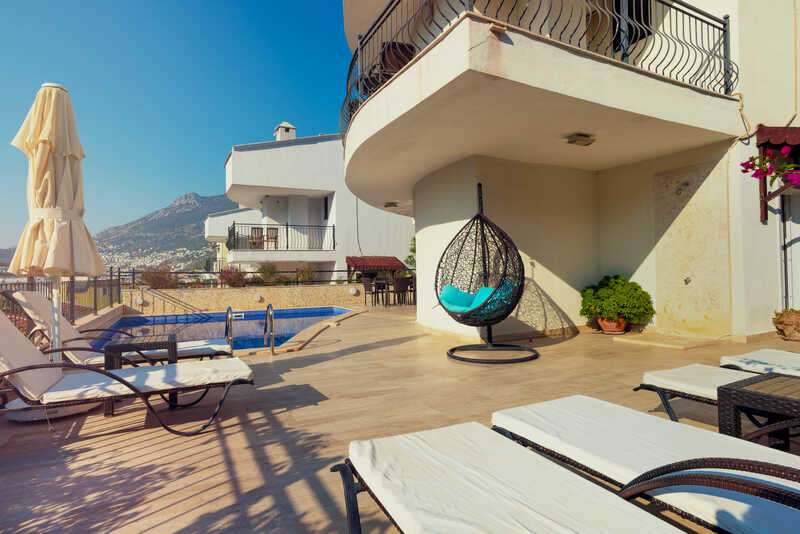 The spacious pool terrace is furnished with rattan sun loungers + parasols and there is an al-fresco dining area to seat 8 guests, together with a built-in BBQ. 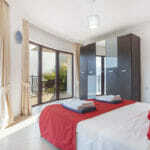 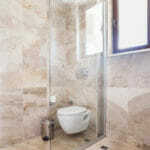 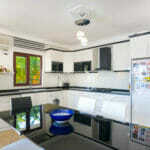 Attractive gardens surround the villa and an outdoor shower is provided.